The past couple of weeks, I’ve had the opportunity to spend many hours at home with my beloved HGTV. There is a bright side to harboring the biggest, worstest (yes, I am making that a word) monster bug I’ve had to deal with in a long time. Over two weeks now people, who knew bronchitis could hang on for that long!! Anywho, enough of my whining, like I was saying, during my time at home battling the monster bug of the year, I had great fun watching hours upon hours of HGTV. I got to rediscover old favorites like “Design on a Dime” and “Designed to Sell”. But also discovered some new shows, that were surprisingly interesting, like “Color Splash” and “Holmes on Homes”, those gentleman could come fix up my casa anytime! But I digress, during my hours upon hours of HGTV viewing, I found that there seems to be a trend that even design networks are falling into, reality competition. Even the great Debbie Travis has joined the band wagon with her “From the Ground Up” series. Since the Big Giant Head behind the HGTV network seems to be releasing more and more of these “reality competition” shows, I seem to be one of the few viewers who really doesn’t care if the token Emotional Girl beats out the token Mean Girl. 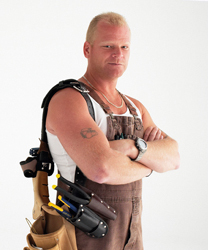 I noticed one of my new favorites, Mike Holmes, is partaking in the newest addition, “Handy All-Star”. I will probably watch it, only because I like Mike Holmes(again, it’s got to be those overalls! ), and I may learn some handy tricks. But the competition part of it, I could do without. 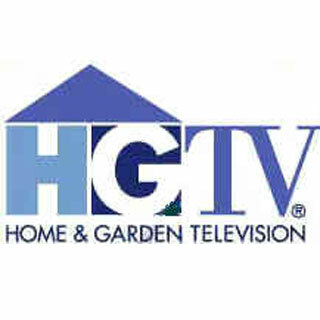 I miss the old HGTV, that gave it’s viewers more Home and Garden and less Tears and Drama.